Laugh all you want, but Pokémon Go offers a really good example of a key libertarian economic theory in action. Spontaneous order was never so much fun. The past year has been a wild roller coaster of emotion in the political sphere, with the very high levels of dislike for Donald Trump and Hillary Clinton turning this whole election cycle into a wildcard. This whole deal has Gary Johnson, the Libertarian Party nominee, winning a lot of sudden attention from the public—he's earning nearly 10 percent in many polls, a level that might be high enough that he gets into some of the debates in the fall. And among active military, he's polling at nearly 40 percent according to one tally, which is an interesting bit of commentary considering his anti-interventionist policies. Long story short: if the Libertarian Party ever has a shot of breaking through, this is their year. That's no surprise to anyone who has been keeping up with the news. But what might be a surprise is the fact that the biggest non-politics story out there, the phenomenal rise of Pokémon Go, is seen by some libertarians as a promotion of a philosophy that's key to its economic ideals: It's a great selling point for spontaneous order, the idea that in a world of chaos, order eventually appears. 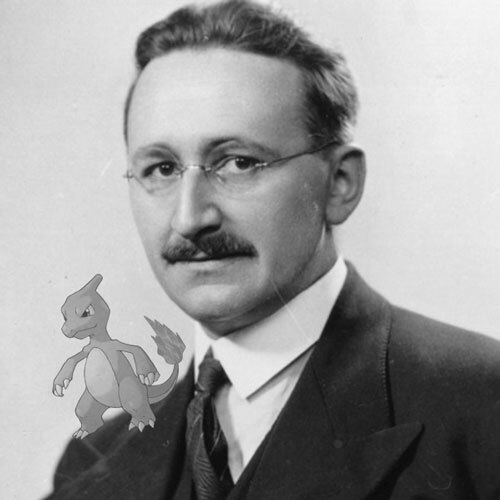 The philosophy is closely associated with Austrian economist Friedrich Hayek, and borrows some ideas from the "invisible hand" theory espoused by fellow economic muse Adam Smith. In the physical sciences there may be little objection to trying to do the impossible; one might even feel that one ought not to discourage the over-confident because their experiments may after all produce some new insights. But in the social field the erroneous belief that the exercise of some power would have beneficial consequences is likely to lead to a new power to coerce other men being conferred on some authority. Even if such power is not in itself bad, its exercise is likely to impede the functioning of those spontaneous ordering forces by which, without understanding them, man is in fact so largely assisted in the pursuit of his aims. It remains one of the most controversial parts of libertarian theory, with critics such as The Week's Damon Linker throwing cold water on the idea, suggesting it a gross oversimplification of more widespread economic theories, and perhaps the worst part of modern libertarianism. "Order doesn't just happen, and it isn't the product of individual freedom," Linker writes. "It needs to be established, and it needs to be established first (sometimes by force), before individuals can be granted civic, economic, and social freedom." Even if you fall in Linker's camp, it remains a fascinating philosophy to consider. "Basketball is an intricate, high speed game, filled with split-second, spontaneous decisions. But that spontaneity is possible only when everyone first engages in hours of highly repetitive and structured practice—perfecting their shooting, dribbling, and passing and running plays over and over again—and agrees to play a carefully defined role on the court. This is the critical lesson of improv, too, and it is all a key to understanding the puzzle of the Millennium Challenge: spontaneity isn't random." — Author Malcolm Gladwell, writing about the nature of spontaneity in his 2007 book, Blink. Basically, just because something seems fluid and random doesn't mean that there wasn't a lot of work required to get it to that state. In some ways, this theory of unconscious thought that Gladwell emphasizes in his book plays against the idea of spontaneous order, because an existing system had to be created to allow the spontaneity to happen in the first place. But on the other hand, Gladwell's ultimate point in the book is that the decisions we make spontaneously are often better and more sophisticated than we give them credit for. Something tells me he put a lot of non-spontaneous thought into writing this book. So, where does Pokémon Go fit into spontaneous order? To put it simply, the design of the game is very hands-off, and its growth is basically pushed forward by the use of spontaneous social systems. People come together with the game, but not through force—they find each other, go outside, and the spark of human interaction just shows itself. It adds something without creating limits. "It was absolutely beautiful to watch. With an element of fantasy and the assistance of marvelous technology, we experienced the common humanity of our neighbors and strangers in our community," argues the Foundation for Economic Education's Jeffrey A. Tucker. "This kind of experience is key for building a social consensus in favor of universal human rights." Compare this to, say, a "mixer" during a business event. The approach is heavily designed, meant to bring people together in a somewhat contrived, forced way. If there's alcohol there, a giant room, and some name tags, clearly you'll talk to someone, right? As any wallflower will tell you, it often doesn't work out that way. But with a design like Pokémon Go, there are no wallflowers, because everyone is brought together by a shared experience, one that appears on its own without any additional contrived strategies on the part of the creators of the game. "The game provides the opportunity for building social institutions, but it’s the actions of the individuals in the game that build it, forming a beautiful spontaneous order 'of human action, not human design,'" argues Tyler Groenendal of the Acton Institute. Young Americans for Liberty, a Ron Paul-affiliated nonprofit that brings together millennials who get excited about laissez-faire economic theory, has recommended the game as a perfect activity for its loose network of chapters. "You can find classical liberal ideas playing out in the real world every which way you look, even in your games," the group's Derek Spicer writes. "Pokémon Go is just one in the litany of examples of how spontaneous order affects how we play video games." The question is, of course, will the broader public make that connection? — Elizabeth Shove, a sociology professor at Lancaster University, discussing a survey about spontaneous behavior with The Guardian. The survey, which was done by a travel site that makes money off of last-minute trips, is nothing to write home about—they speak to a philosophy that the company wants to sell. But Shove's comments about the study are intriguing, as she suggests that, while we make more decisions on the fly, the actions we take are ultimately not that spontaneous. As she puts it: “Even if you do not know what you’ll be eating for dinner at 4pm, you do know you will be eating." It's worth noting that libertarians don't have a monopoly on theories involving spontaneity. In fact, the other well-known theory that's often brought up is generally more closely associated with communism or Marxism. Revolutionary spontaneity, as it's called, is the idea that groups of people from lower levels of society will rise up without the help of a political party or an outside force. Ironically, two the best-known examples of this theory in modern times arguably come from the last throes of communism in Europe—specifically, the Velvet Revolution in the former Czechoslovakia and the fall of the Berlin Wall in Germany. Not everyone agrees that these impromptu moves to fight the powers in charge were spontaneous—Dissent magazine writers Mark and Paul Engler argue at length that they aren't, that they came about only after the bases of the countries' political infrastructures weakened, that they're closer to the kinds of civil resistance affiliated with Mahatma Gandhi and Martin Luther King Jr.
A better example might be the Arab Spring, where a single incident of self-immolation in Tunisia (not spontaneous combustion) helped spark months of sustained protests throughout the Middle East. But the results of those efforts as proof of the power of revolutionary spontaneity have been a bit more mixed, some socialist thinkers admit. "As a matter of fact, the experience of the last five years has been a conclusive test that revolutionary spontaneity is not enough by itself to achieve real change," Serge Jordan, of Committee for a Workers’ International (CWI), wrote back in March. As far as revolutionary spontaneity directly caused by Pokémon Go, this is probably as close as we're gonna get.